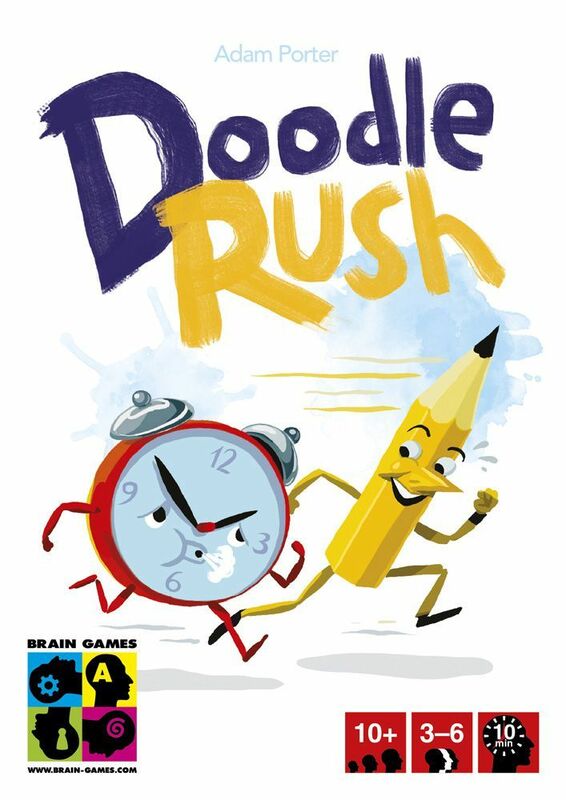 Doodle Rush is a fast-paced party game that will keep you on your toes for the whole time. In each game, each player receives two cards with total of six words that the player has to draw. The game consists of six 1-minute rounds: three drawing rounds and three guessing rounds, which are interchanged. In the drawing rounds, the players try to draw as many of their words as possible, whereas in the guessing rounds they try to correctly guess other player drawings and want their own ones to be guessed. Everyone plays at the same time, therefore the gameplay is very active and you have to be quick and attentive. In the end, the player with the most points (drawings that they guessed + their own drawings that were guessed by others) wins.